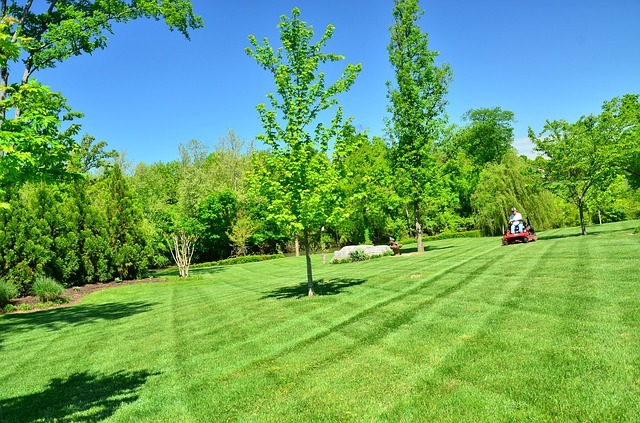 We cut the cleanest, the freshest, and best businesses lawns in the Boise Valley. We have done work for quite a number of commercial clients who require our services. The commercial accounts require the same general services that residential clients utilize, and then some. Our commercial clients differ in size – from small to medium to large businesses. For example, we have mowed Denny’s lawns. There are also other big-name companies that we have worked for in the past. A number of our commercial clients have signed contracts with us that dictate the time periods we work for them and exactly what work needs to be done. We are very proud of the partnerships and friendships that we have formed over the years with these businesses and are happy that our commercial clients have been quite pleased and satisfied with our level of professionalism and dedication. If you own a business that has a lawn and you want it to look its best at all times, give us a call. We offer all our services to those who want it, as long as you are located in the areas that we serve. Our prices are among the most affordable in the industry, so you can rest assured that you will be able to afford one, two, or all of our services that meet your needs! 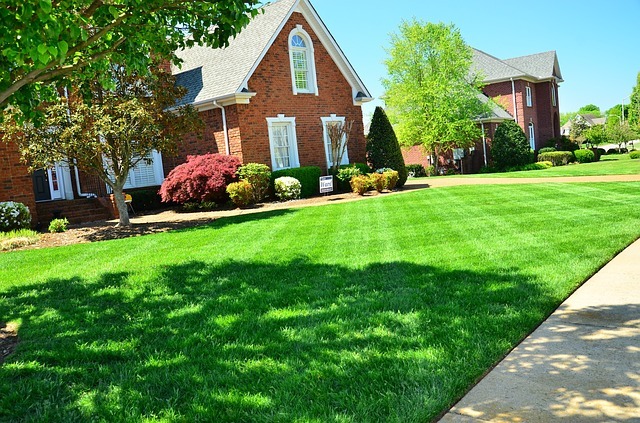 Lawn Care – Many of our clients have very large lawns that take a lot of work to care for. 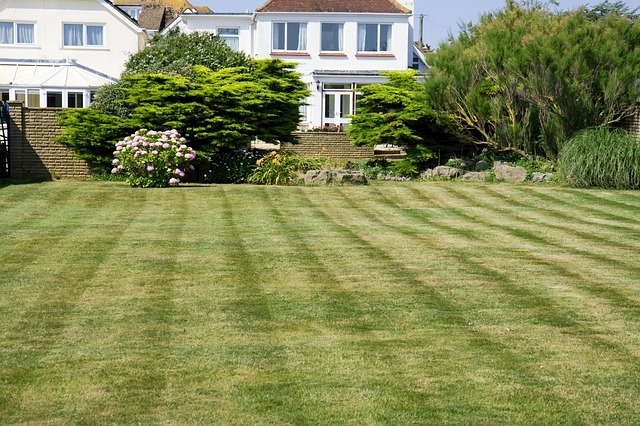 We have been able to satisfactorily keep their lawns in tip-top shape, no matter the weather. From lawn mowing to edging to removing weeds, we have done it all. Sprinkler Installation and Maintenance – Keeping lawns looking healthy requires lots of water that is applied at specific times of the day. In most cases, early morning and late evening watering are best. Sprinkler systems save you the time of manually watering your business’ lawn with a hose or having to pay someone else to do it. We install and maintain sprinkler systems of any size. Service contracts can be drawn up, depending on your needs, which enable us to care for your sprinkler system without you having to call us every time. 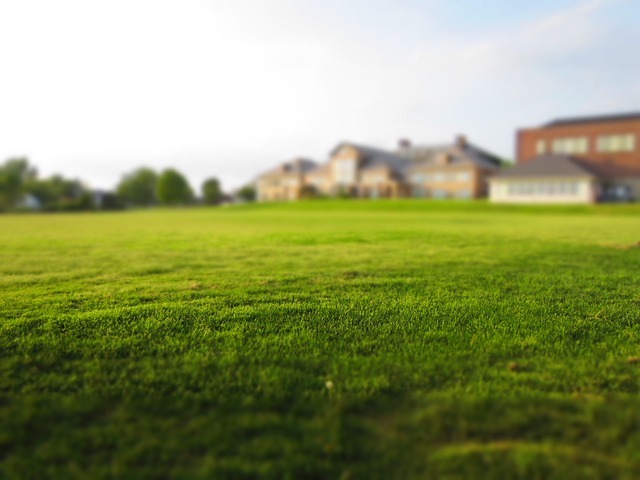 Fertilization – The lawns of business places tend to get exposed to more extreme conditions than residential lawns. These conditions can affect the health of the grass and as such make it appear unhealthy or even die out if not properly cared for. Fertilization helps to boost grass health by adding the nutrients it needs to the soil. Our team of experts is able to fertilize the lawn of your business place so that it remains green all year long. We only use environmentally-friendly fertilizers that do not harm ground water or affect the grass or other plants in any negative way. 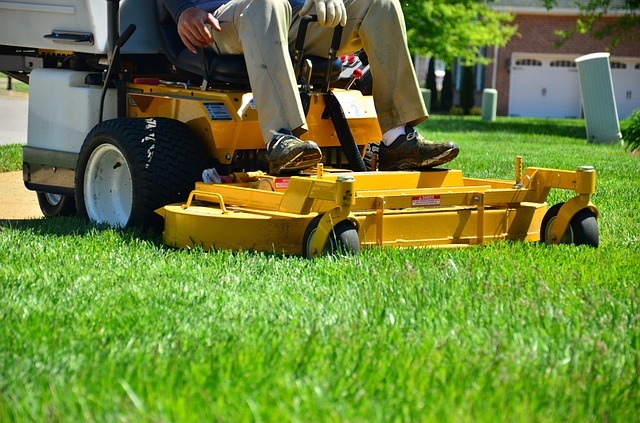 Aeration – Commercial enterprises that have lawns generally have the same problem, i.e. the grass does not always look fresh and green. In the case of fast food restaurants and supermarkets, for example, people tend to use the lawn as a shortcut to access the main road or to get to the parking lot. This constant traffic causes the soil to compact over time, resulting in poor grass growth and even the creation of grassless foot paths in areas that people frequently walk. Aeration solves the problem of poor grass growth by allowing water, nutrients, and air to flow better through the soil, thereby allowing the grass roots to grow deeper and become stronger. It can be quite unsightly when a business place has a brown, patchy lawn. Let us fix the problem for you. Give is a call and we will work with you to get your lawn aerated and your grass looking green again. Water Features – In order to enhance the beauty of their lawns, many commercial customers have requested the installation of water features. From simple to extravagant, we have installed them all. Water features include water fountains, waterfalls, cascades, ponds, and lakes, just to name a few. We offer custom designs and construction based on your needs. If you own a food joint, for example, imagine having a water feature on the lawn where people are able to eat in the open air or even under sheds, enjoying their meals as well as the ambience that the water feature brings! Call us today to set one up for you. Tree and Shrub Care – Trees and shrubs add a level of beauty to lawns that nothing else could ever do. It is therefore important that business places maintain healthy and well-kept trees and shrubs so that the environment can look beautiful at all times. When these plants start growing all over the place, they need to be reined in. Our team of professionals have the ability to prune and trim your trees and shrubs so that they look great. We can shape them up for you and remove dead and infected branches so that they remain healthy. Our commercial clients are very important to us. After 20+ years in the business, we know what it takes to keep them happy. If we are not yet working for you, please give us a call so that we can start caring for your lawn. You are guaranteed to receive the best service. After all, we are the best in the lawn care industry, no holds barred.